hd00:06SIEM REAP, CAMBODIA - APRIL 2014:Tourists in Prasat Bayon. Angkor Thom temples. Time lapse. 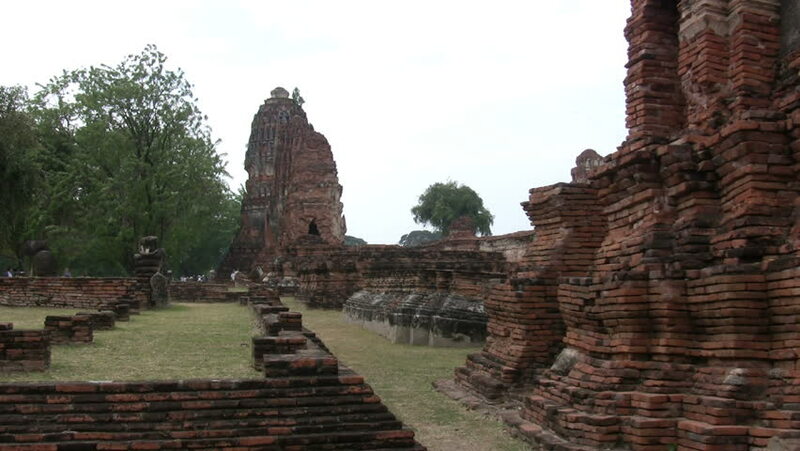 hd00:19Ruins of Wat Maha That or the Monastery of the Great Relic located on the city island in the central part of Ayutthaya. Slider stock footage. hd00:12Camera taken along the entrance to the temple at Ayutthaya , Thailand.